Indonesia is the fourth most populous country in the world. It has become a transit area for traders that could develop Indonesia’s tourism activities and a good location for traders to do export and import as it is strategically located in between two continents (Asia and Australia) and two Oceans (Indian and Pacific). With it being the growing economy of the South East Asia region, many foreign investors are seeking ways to expand their business activities in Indonesia. Well, look no further because you’ve came to the right place. In Paul Hype Page and Co, we will adhere to all your administration and business needs in accordance with Indonesia regulations and requirements. What Distinguish us from our Competitors? Before we incorporate your company, it is necessary for us to know who you are through the Know Your Customer (KYC) process. The regulations will assist the relevant authorities in knowing understanding all financial dealings better to monitor any transactions for identification and preventing suspicious transactions. Know your customer (KYC) refers to the due diligence activities that all regulated companies must perform to ascertain relevant information from their clients who are doing business with them. This is a necessary measure to ensure that everyone who has a company in Indonesia are legitimate entities and is not merely there to conduct any unlawful activity. It is important for us to understand who you are. Paul Hype Page & Co has a long-standing history with many reputable clients. With that in mind, we do not want to engage into any businesses with individuals and/or companies that will tarnish the image of this company, the image of Indonesia, and the country that our potential clients hail from. Indonesia was blacklisted by Financial Action Task Force (FATF), an inter-governmental body fighting money laundering, back in the year 2012. Indonesia was only taken off the blacklist in 2017 and ever since, the Bank Indonesia (BI) issued new regulations covering credit card issuers, electronic money providers, remittance and money transfer companies as well as fintech startups. Bank Indonesia issued Bank Indonesia Regulation No. 3/10/PBI/2001 concerning Application of Know Your Customer Principles. This is one of several measures designed to prevent the banking system from being directly or indirectly exploited by criminals for money laundering. With recent developing news that involves money laundering, we have become more cautious. Therefore, Paul Hype Page & Co carries out our own internal KYC procedure to ensure that a smooth company incorporation for our clients here in the Indonesia. With the recent 1 Malaysia Development Berhad case that shook the whole world, surrounding countries around Malaysia such as Indonesia and Singapore is taking a stricter approach with new investors coming into their countries. That means, when you are getting your company registered in Indonesia, we at Paul Hype Page will conduct a stringent search on you and your company, so that the Indonesia incorporation process will be an easier process. We at Paul Hype Page believes, that it is best to have the right customers rather than having all the customers. Technically, it is possible for a foreign corporate entity or foreign investors to open a company’s bank account in Indonesia. Opening a company’s bank account in Indonesia should not be difficult, but different bank might impose different rules and requirements for the application. When you are ready to start a business in Indonesia, it is definitely worth engaging with Paul Hype Page & Co where you can open a company’s bank account with the assistance from our experienced Corporate Specialist in Indonesia. A Local Company, PT in Indonesia have much more benefits in Indonesia in comparison to Foreign Owned Company. However, to set up a Local Company, PT in Indonesia, the ownership of the company must be 100% local citizens. This led to a major inconvenience towards foreign investors as they would not be able to exercise their ultimate control over the company and how it is managed. This is not preferable by many foreign investors as the local nominee could claim the ownership rights of their share entirely and leave the foreign investor without giving him the opportunity to pursue legal action against the local nominee. 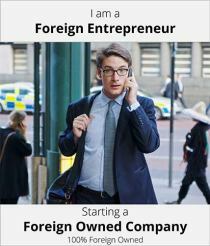 Nevertheless, there is a way in which foreign investors can still gain control of a Local Company, PT. They can do so by opening the company’s bank account overseas such as in Singapore or Malaysia. Here at Paul Hype Page, we have offices located in Singapore and Malaysia. Therefore, we can provide foreign investors with further assistance in setting up a Local Company, PT in Indonesia and to assist them in opening a bank account overseas. Besides that, to open a PT PMA company, foreign investors would be required to deposit a minimum of IDR 2.5 billion (USD 180,000.00) as the paid-up capital of the company regardless of the company size. This would cause major inconvenience for small foreign investors as USD 180,000.00 is a big sum of money just to set up a small company. In addition to the paid-up capital, foreign investors are also required to present an investment plan of IDR 10 billion (USD 750,000.00) in about 1-5 years, depending on their business sectors. Similarly, this would be a major problem for most foreign investors. Paul Hype Page has came prepared with a solution to these major difficulties that will be faced by foreign investors in setting up a PT PMA. In relation to the minimum paid-up capital of USD 180,000.00, Paul Hype Page would be able to offer a loan to suitable foreign investors to cover the full paid-up capital deposit. On the other hand, in regards to the huge amount of investment plan, Paul Hype Page would be able to assist foreign investors to meet the investment plan requirement of USD 750,000.00 by setting up a company in Singapore or Malaysia. Contact us or *click here to find out more on solutions in which Paul Hype Page can assist foreign investors on these major problems faced by them. Perseroan Terbatas (PT) or also known as Limited Liability Company is a legal entity to run a business that consists of capital shares, which is a part owner of shares owned. A majority of the companies in Indonesia are Local PT. It is a limited liability company that is fully owned by the Citizens of Indonesia as only Indonesian individuals or legal entities can be shareholders of a Local PT company. In a local PT company, it is also required to have at least 1 director, 1 commissioner and a minimum of 2 shareholders. In Indonesia this is known as PT PMA (Perseroan Terbatas Penanaman Modal Asing). This is a legal entity which foreigner can use to conduct commercial activities in Indonesia established under the Indonesia law. In a PT PMA, foreigner both individual and legal entities can be registered as shareholder. However, the shares of PT PMA can be owned up to 100% by foreign investors subject to the Negative Investment List. A representative office is an office set up by a company located outside of Indonesia (parent company) to take care of its business in Indonesia. It frequently occurs that a foreign investor opens a representative office in Indonesia first in order to ‘get to know the market’ before opening a PT PMA business if the findings turns out to be positive. To keep up with the regulations in Indonesia is a common pitfall for many new foreign businesses. Foreigners who wish to reside and work in Indonesia need a valid working permit to do so. The labour legislation imposed by the Ministry of Manpower and Transmigration (MOMT) have set out the requirements to obtain a working permit. The Indonesian government also imposed strict employment limits on foreign workers can make it difficult to bring manpower in from other countries. Presidential Regulation No. 20/2018 on the Use of Foreign Workers in Indonesia sets out the key points on ways in which you could employ foreign workers. Being a country of multi-ethnic society, it is vital that a newbie appreciate and understand all the many different customs and traditions that could impact the Indonesian business culture and etiquette.